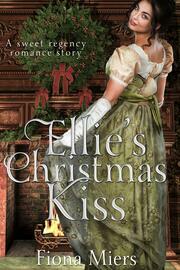 Ellie Sommers is twenty years old, beautiful and lively. However, returned home to the country after another long London season, she wants nothing more than to remain in her beloved little town and ride her horses. Will she ever find a husband who cherishes the same modest goals? Robert Blakely is a widowed gentleman, come to spend Christmas with his long-time friend William Sommers. Convinced that he will never wish to marry again, Robert is shocked to find himself keenly interested in his friend's lovely daughter. Can it be that a girl half his age is his perfect match?